At one time, paychecks came in paper form, which workers then deposited at the bank. The check would tear off from the “stub,” which included details of the wages earned, as well as the taxes and other expenses that were withheld. Now that paychecks are deposited directly, though, you’ll probably receive this information separately, maybe through your company’s employee web portal or in an email from your HR department. As you review the details, you probably see terms like “total gross” and “federal taxable gross,” along with all of the other dollar amounts. Both of these are somewhat similar, but still different, descriptions of the amount of income you earned. Gross income is the total amount of income you bring in, while federal taxable gross is the amount of your income subject to federal income tax. Your gross income is all of the money you have coming to you, including your salary, your pension benefits and your investment earnings. On a paycheck, “gross earnings” refers to the total amount you’re paid before anything is taken out. However, not everything you earn is subject to income tax. If you contribute money to your 401(k), for instance, the IRS won’t take a piece of that. You’re also safe from tax on pre-tax contributions to health savings and flexible spending accounts. The amount minus those pre-tax items is called your federal taxable gross. The amount you see under federal taxable gross may be lower than your gross income. It may be the same, though, if 100 percent of your income is subject to federal taxes. However, this doesn’t mean every dime of that federal taxable gross amount will be taxed. In fact, when you prepare your taxes during tax season, you’ll likely claim deductions and tax credits that will lower the amount of your taxable income. What Qualifies as Taxable Wages? Once the money has been set aside for your pre-tax savings accounts and qualifying retirement plans, what remains is all of the money you made at your job. If you’re merely paid salary or hourly, this is simple enough. It’s the pay rate you accepted when you took the job. However, if you earn commissions, tips and bonuses, this is also included in your taxable income and must be reported to the IRS. Stock options and bonuses also qualify as taxable income, and if your employer offers perks like paying for your gym membership or commuter costs, this is also considered taxable income. Royalties are also taxable income. If you patent a product or sell a book, the money coming in will be taxed each year as ordinary income. You’ll generally report royalties on Schedule E, which is also where you report rental income from any real estate properties you own. But for royalties from ventures such as writing, inventing or art, you’ll use Schedule C.
Two other terms you’ll see thrown around are “gross income” and “net income.” Net income is the amount you bring in after your employer has withheld taxes and sent them to the IRS. Under the Federal Insurance Contributions Act, money is taken from each paycheck to take care of you in your golden years. This shows up on your paycheck under the term “FICA” and includes 6.2 percent for Social Security and 1.45 percent for Medicare. If you earn more than $128,400, you’ll only have to pay Social Security tax on that amount. You’ll still pay Medicare tax on every dollar you make, though. For businesses, gross income refers to the amount of income earned before any expenditures are taken out. A landscaping company’s gross income would be the amount of money coming in from customers. But net income for that business would be the income remaining after expenses were logged, including costs for equipment rental, gas, payroll and vehicle maintenance. To keep as much of your federal taxable gross as possible, you’ll need to adjust your withholdings. This is driven by the form you filled out when you started your job, called a W-4 Form. You probably used the Personal Allowances worksheet included with that form to calculate how much to have withheld from each paycheck. That worksheet asks if you’re married, how many children you have and how much income you’ll make related to filing the child tax credit. The interesting thing to note is that you don’t have to report the actual dependents you have when filling out this form. The higher the number on line 5, “total number of allowances,” the less will be held from each paycheck. 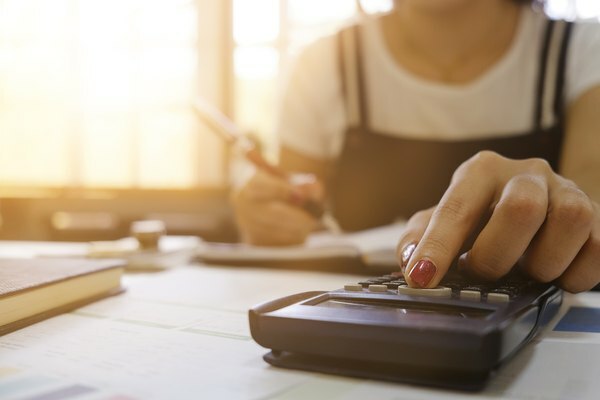 While more money every pay period may sound appealing, though, it can result in underpaying your taxes, which means a big tax bill in April, plus possible penalties. The good news, though, is that you can continue to adjust your withholdings from one year to the next to get the results you want at tax time. In most states, federal tax isn’t the only thing you have to worry about. You’ll also owe a portion of your income to your local authorities. The amount of income tax you’ll pay depends on the state. If you live in California, you can pay up to 13.3 percent of your income in taxes, while North Dakota charges only 2.9 percent. To be compliant with regulations, your employer will also set aside a portion of your paycheck for state income tax and submit it to the appropriate government agency. At tax time, you’ll get a form from the state showing how much you paid in taxes during the year and you’ll input that on your state income tax form. The good news is you can deduct your state income tax paid when you file your federal taxes under something called the SALT deduction. This includes your state income taxes, as well as your property tax, up to $5,000 if you file individually and $10,000 for married couples filing jointly. To claim the SALT deduction, though, you’ll need to itemize deductions and make sure those deductions total more than the newly increased standard deduction, which is $12,000 per person. Individuals aren’t the only ones subject to federal taxable income. Businesses also must worry about it. All businesses are required to file a federal income tax form each year, including small businesses with employees and independent contractors like freelancers. For small businesses and sole proprietorships, income is passed through the owner’s personal income tax, with self-employment tax imposed to take care of Social Security and Medicare. Partnerships file their taxes using Schedule K-1, where it divides the income and passes it through each partner’s personal taxes. Corporations, on the hand, pay income tax on their taxable income using Form 1120. Throughout the year, corporations are required to pay quarterly taxes on their income. If the owners work for that corporation, they’ll also need to pay tax on the income they personally make on their own income taxes, just as if they were employees of the corporation. In addition to your paycheck and tax filing, your gross earnings will also come into play when you take out a loan. This is especially true of the mortgage process, which relies heavily on how much money you bring in each month. The interesting thing is, although lenders ask for your gross income, you’ll actually be paying your mortgage out of your net income, which is after all of those pesky FICA taxes have been taken out. During your home buying process, your lender will make sure that your mortgage payment is no more than 28 percent of your gross income each month. Unfortunately, that can easily lead to you getting a mortgage that’s more than you can afford. It’s important that you look at your net income, minus all of your other monthly expenses, and make sure you can reasonably afford the amount you’re signing up to pay. For renters, gross income comes into play during the application process. Landlords generally want to know how much you bring in each month, so they can make sure you are good for the payment. The formula landlords use requires that your annual income be at least 40 times the monthly rent. That means if your apartment is $1,000 per month, you’ll need to make at least $40,000 per year. If you have a roommate or spouse contributing to that income, together you’ll only need a $40,000 annual income. If you’re working from the other direction, you’ll simply need to take your annual salary and divide it by 12 to determine how much apartment you can afford. If together you have a combined family income of $80,000, you’ll likely be approved for rent up to $6,666 per month. However, just because you can qualify for that amount doesn’t mean it will be good for your budget. It can be helpful to total up all of your expenses for a given month, including extra spending money and a small amount of savings for an emergency fund, and take on a rent that fits comfortably with your take-home pay. You can actually save money each year by taking advantage of any pre-tax savings your employer offers. If you have the option to put pre-tax dollars into a 401(k), flexible spending account, health savings account or dependent care savings account, you’ll be able to save some of your hard-earned money from being taxed. Plus, you’ll have pre-tax dollars that you can then spend on medical appointments or qualifying child care expenses. If your employer doesn’t offer a retirement plan, you may qualify for an IRA. You can put up to $5,500 each year, or $6,500 if you’re 50 or older, into an IRA without any tax repercussions when the money is put in. Even if your employer offers a 401(k), you may be able to invest in an IRA up to the yearly limit for your age as long as you make below $63,000 a year, or $101,000 if you’re married filing jointly. It’s important to note that you will pay taxes when you take the money out at retirement age, but it offers a tax savings while you’re working. Just because you see federal gross income subject to taxation on your paycheck doesn’t mean you have to pay every dime of that. There are things you can do at tax time to reduce your taxable income. The biggest of these is to claim the tax credits available to you. The child tax credit is among the most popular, since you’ll get $2,000 for each child. Best of all, $1,400 of this is refundable, which means that if you owe no money to the IRS when you file, you’ll get a check for $1,400. There are also deductions you can take, provided you have enough of them to itemize. You can claim your medical costs and any charitable contributions, among others, but with the standard deduction now at $12,000 per person, many taxpayers will find they can’t put together enough deductions to make it worth it. The Motley Fool: What Is the Difference Between Gross Income and Federal Taxable Income? Forbes: Figuring Out Your Form W-4: How Many Allowances Should You Claim? Ground Floor: Rent to Income: How Much Can I Afford For Rent?